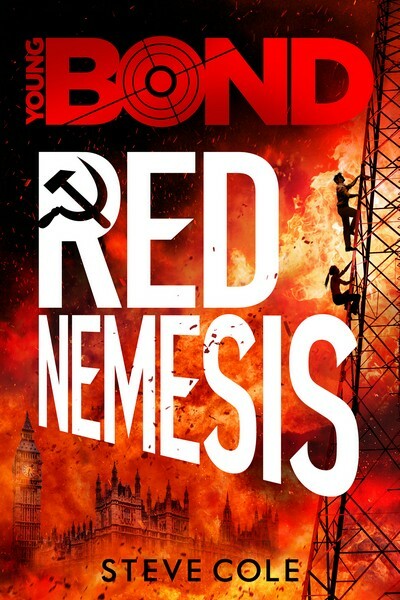 Steve Cole’s fourth and final Young Bond adventure, Red Nemesis is out now, and to celebrate we talk to him about his experience writing the series, and of course his explosive new novel. Well we have to start with the fantastic title of Red Nemesis, how did you come up with it? Steve: Lurking somewhere between inspiration and desperation is the titling department of my mind! For the synopsis it was named On Moscow’s Orders as a counterpoint to Charlie Higson’s final Young Bond, By Royal Command. Then for the first draft it was called Dance With Death, which ultimately felt a bit too generic. Fleming’s Bond titles have a wonderful, tantalising quality to them, you want to know what they’re about. I made a list of possible titles and Red Nemesis really seemed to sum it up, the idea of how importantly and dangerously the Soviet Union will figure in Bond’s life. It also syllabically matches book three, Strike Lightning, just as Heads You Die matches Shoot to Kill. So that appealed to the nerd in me. Red Nemesis has a grimly dramatic Russian edge, was this a homage to From Russia with Love or were there other points of inspiration for this direction? 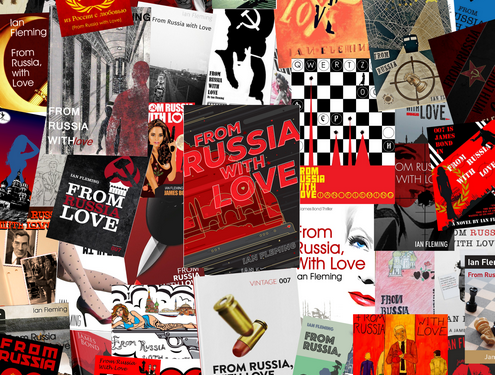 Steve: From Russia With Love is my second favourite Bond novel (after On Her Majesty’s Secret Service), and I was aware that 2017 marks the 60th anniversary of its publication, so I thought it would be fun to get Bond To Russia, himself. Also, of course, it’s the last book of my arc and I wanted an iconic and suitably dangerous location. You don’t have Moscow as a setting second or third in the cycle; it’s the big one and I always planned it as a location for the conclusion. Stalin’s Russia looms in the modern imagination as a truly horrifying place, so to throw young James into its jaws ups the stakes. 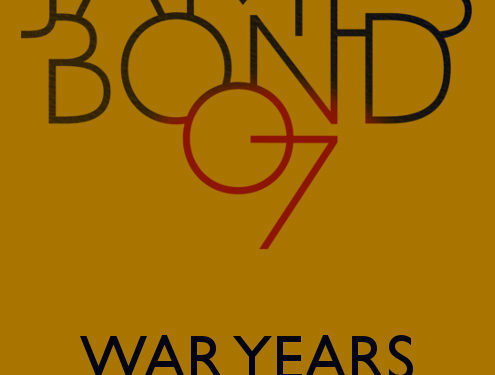 The book delves into some raw and sentimental aspects of Bond’s past, particularly by looking at his father Andrew Bond who died along with his mother Monique when James was only eleven years old. What prompted you to explore this sombre side to James’ childhood? Steve: When you have a character as magnetic as James Bond I think you want to know what’s shaped him in life. The death of his parents obviously affected Bond deeply, and my first thought when plotting was to have someone exploit that incident to their own advantage. As Red Nemesis is the last of my Young Bonds I wanted to push James a little further towards the adult world of espionage and spy-play that lays before him. What better way to pull him into that world than the adult now missing from his life? This book provides Bond with the chance to deal with his father’s unfinished business. 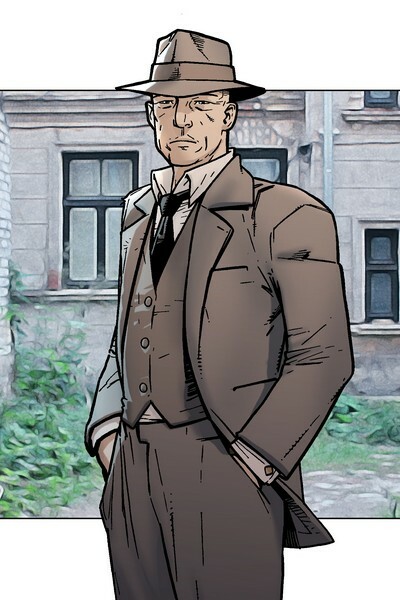 Anya, his ally in Moscow, finds herself in a similar position; so, the influences of fathers and fatherlands are key themes and add a bit of personal weight to the story. 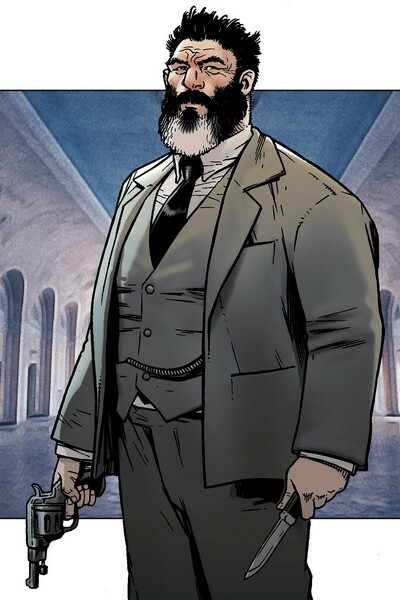 Mimic is a wonderfully creepy villain and one of our favourites in all of the Young Bond books. 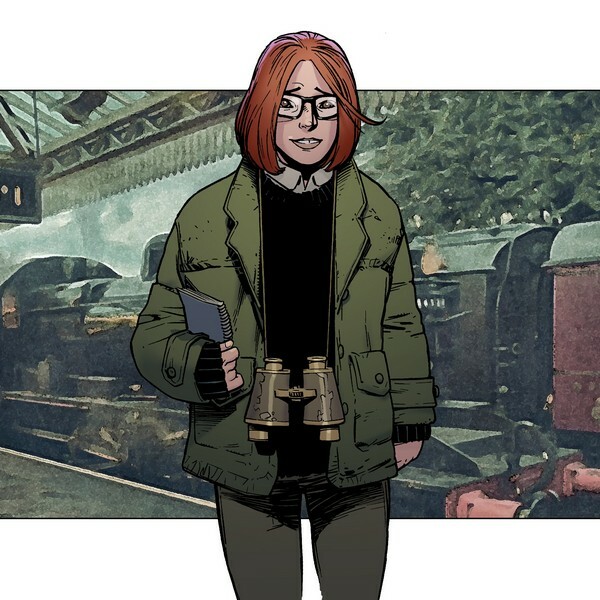 What was your inspiration for this character? Steve: I actually conceived a Mimic-like character when planning Heads You Die, though ultimately he didn’t quite fit into the villains’ set up, there wasn’t enough for him to do. I didn’t forget him though. 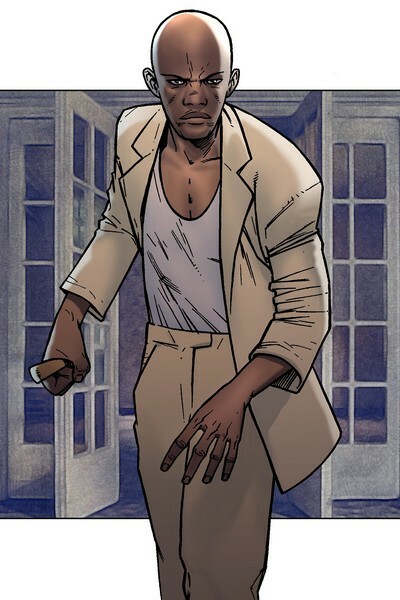 He was nearly a bodyguard in Strike Lightning too! It just seemed very creepy to have someone who could impersonate anyone, particularly when communication was so much more primitive – that voice on the crackling telephone line or the wireless broadcast, is it really who you think it is? That person crying for help, are you sure it’s them? So for my final book, I made his talents – both verbal and physical – more integral. Reading the book it feels like you had great fun coming up with the clues for James to follow, how did you think of them and was it as enjoyable as it comes across? Steve: It can be tricky, when setting a cryptic puzzle for your hero, to know just how devious to be! It’s not really any fun unless you can allow your reader enough clues to try to work it out themselves. You don’t want to make things too easy but the puzzle can’t be too contrived either. The challenge was to make the clues personal to James, so that in the end he is the only one who can really work things out. But no one wants the hero to solve things too early, so I tried to set things up so that even when James has figured out one cryptic clue, it leads to another mystery. 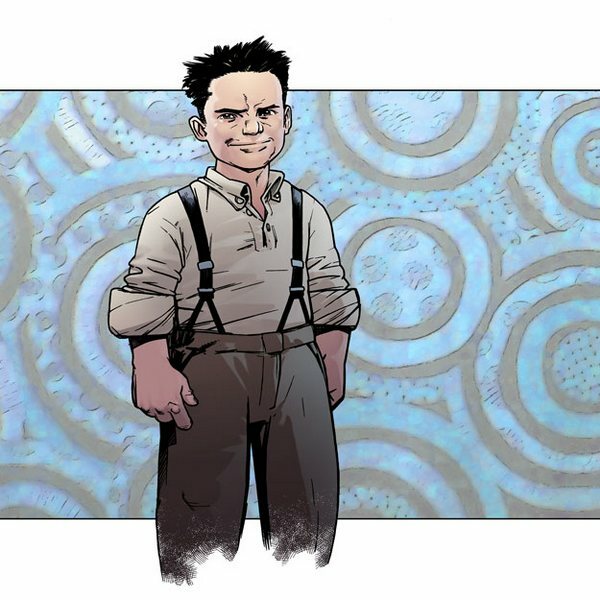 With four Young Bond books under your belt, how does it feel now the series has finished? Steve: The time seems to have zipped past in a patter of nervous heartbeats. I’ve so enjoyed my time with Bond: I’ve worked with so many lovely people, heard from so many nice Bond fans and visited so many cool places over the course of these four novels. It’s been a challenge like no other, I’ve cared passionately about it, I’ve given it my best and I shall miss it. But it’s part of a writer’s brief to reinvent their job as the years push onward. Who has been your favourite Young Bond character to write about? Steve: Discounting Bond himself, I suppose I enjoyed writing about James’s dwarf friend, Hugo, in Shoot to Kill and particularly Heads You Die. He brought a different perspective to the storytelling and brought out a different side of James, I enjoyed teaming them up. 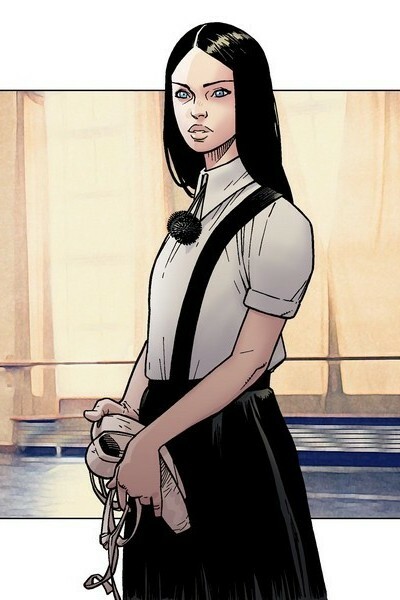 Of my Bond girls, Kitty Drift from Strike Lightning was a favourite; wonderfully straightforward, she wore her heart a little self-consciously on her sleeve. She was resourceful and witty and passionate about what she did. Which of your Young Bond adventures did you enjoy writing the most? Steve: I can’t really single one out as I enjoyed each in different ways. But I really had fun going full throttle with Red Nemesis, where the stakes are perhaps their highest and James is given frightening glimpses of both his father’s past and his own future. Being able to write scenes that touch at the heart of a character like Bond is a great privilege. What other projects are you pursuing and what would you like to achieve next? Steve: I think like most writers, parts of my head are always pursuing other projects without permission! I’ll see what they come up with. I am currently thinking of some standalone projects but love series fiction too; you’re not just writing a book, you’re making a continuing world that readers can revisit, time and again. 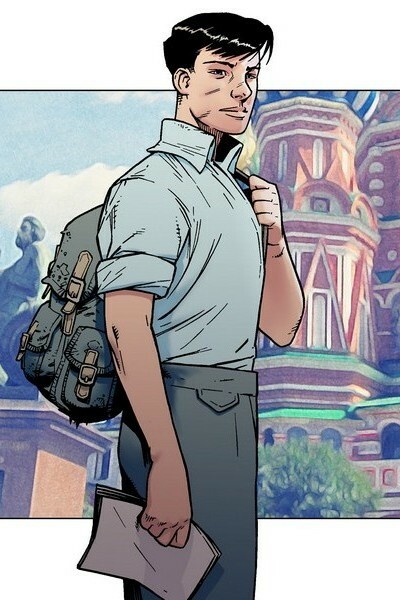 I always used to be known as the Astrosaurs guy, and I guess now I’m known as the New Young Bond guy, so I’m happy to wait and see what the next book label will be. Red Nemesis is out now, and available to purchase by clicking through here. Audiobook edition coming soon. Steve Cole’s books can all be found on our site, by clicking on the following titles: Shoot to Kill, Heads You Die, Strike Lightning. The first five books in the series, written by Charlie Higson, may be found by clicking through the following titles: SilverFin, Blood Fever, Double or Die, Hurricane Gold, By Royal Command. The Young Bond books are all available as audiobooks, narrated by actor Nathaniel Parker. Click here for our interview with him. Art and illustrations by Kev Walker.